It starts with muffled voices and static, then the sounds of two male voices clearly cut in, discussing what's been reported in the media about the Hells Angels. "They don't appreciate their name in the media," one voice says. "OK, I didn't put their name in the media," the other man, purportedly Al Potter, said. What Potter didn't know at the time was that his friend and fellow Vikings Motorcycle Club member was wearing a wiretap for the RCMP, and he was tasked with getting information on the killing of Dale Porter. 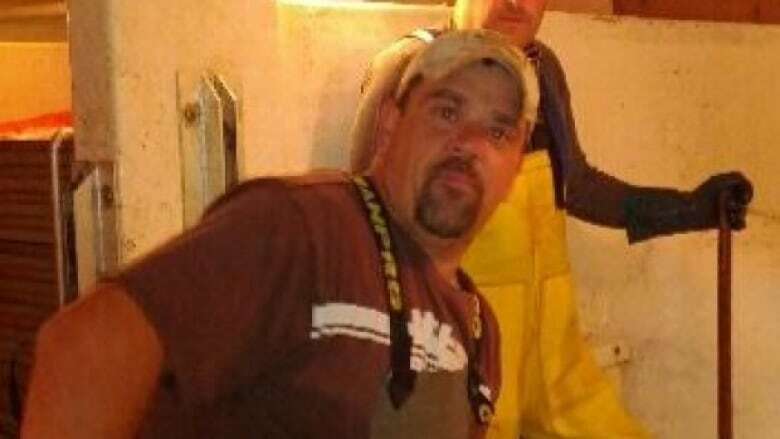 The father of two, truck driver and fisherman was found fatally stabbed at the end of his driveway in North River, Conception Bay North, on June 29, 2014. The biker turned police agent recorded the conversation nearly a year later, on April 3, 2015, at his apartment in Pleasantville, the court was told during Potter's first-degree murder trial Thursday in St. John's. Like the police agent who testified the day before, two armed police officers walked in with the second paid informant, and kept a close eye on, the 64-year-old man. How did you join the Vikings? 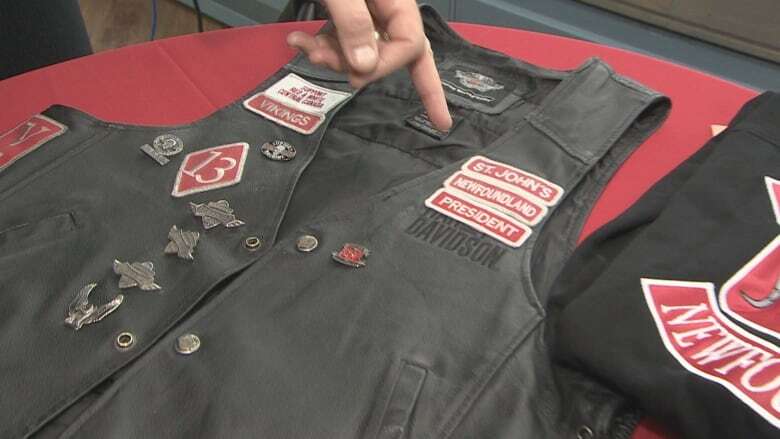 The process to get into the Vikings Motorcycle Club didn't involve an initiation process for him, the agent said, who added he was in a biker club called the Phantom Riders in St. John's about 25 years ago. After knowing Vincent Leonard Sr. for about 30 years, the police agent said, he just asked to join one day while speaking to him outside on Cabot Street in downtown St. John's. He said he was asking about the club, then said, "I should get in." To which Leonard Sr. said, "Yes, we'd be glad to have you," the witness said. He explained that members without a Harley Davidson wore green and white on their biker vests, but those who did ride, wore red and white. As for the police agent, he said he wore red and white because he drove a Harley — one that was secretly paid for by the RCMP. He did not, however, have a licence. "I didn't want to get the licence because of the arthritis," he said. "As long as I had a bike I would be a member." The bike cost the RCMP around $6,500 secondhand, he said. The police also paid $250 for his colours and the $30-a-month club dues. "An agent gives information to the police," the man explained, adding he would meet with police who would give him a "task" to complete. "I'd complete the task and meet them for notes after. Once a takedown or arrest is made, I would have to appear in court and testify and I could not use a false name in court. Which I agreed to." The original plan was for him to be paid $250,000 for his services plus a weekly "maintenance" payment, which started at $500 a week but was later upped to $800. But months later, the RCMP came back to him with another deal, he said. He'd be paid an extra $50,000 if he provided information on about "eight or nine people they were interested in, basically the Vikings club and the Leonard family." To his recollection, he was a full patch member before he became an embedded RCMP informer, attending meetings in Vincent Leonard Sr.'s shed. After such meetings, he'd be picked up by the RCMP and driven to a hotel called a "safe house," he told the jury. There, he'd be greeted by multiple RCMP members who would hand him a piece of paper with his assigned task. "Sometimes I was tasked to obtain information concerning the murder," he said. "They would ask me to talk to [Potter] and try and start a conversation to lead up to Mr. Porter's murder. I was wearing a wire." He had two jackets with wires in them, he explained, that began recording while still at the safe house. The witness says he would then be dropped off to complete his "task," and was told to "make a phone call should anything happen." One conversation picked up by wiretap and played for the jury, each given a headset, was between Potter and the agent before the two took a flight to Toronto paid for by the RCMP. With a television blaring in the background, the agent says, "Did you hear about the news?" "No. Well, what do you want? About what?" Potter asked. "What'd about them?" he probed. "New DNA evidence linking two suspects. Ah, not releasing any evidence or won't right now," the agent said in part. In parts of the conversation, Potter is angered at the media, saying they were printing lies about him, and he was worried the Hells Angels would be angry about the connection made to them in media reports. "I don't go getting charged by police and telling them I'm a Hells Angel," he said. "I got Danny Williams the premier of the province is suing this f--king media." Later, Potter said, "The c--ksucking media has got me in trouble." "I'll go to NTV and cut their heads off," he said, laughing. During the conversation, with the agent probing for details on what happened in North River, Potter said, "I defended all f--king three of them!" "Cause [the second man charged] couldn't lick a five-cent stamp, but he'd get himself in trouble. "Buddy says, I'm f--king her tonight, not you! He says, 'I'm going to f--k your girlfriend,' he said." The Crown's theory is that Potter and a second man, whose identity is covered by a publication ban, killed Porter after he made fun of the Vikings and make an "indecent proposal" to a woman who was dating the second man. The conversations between the police agent and Potter continued into 2016, through letters and phone calls, after Potter was incarcerated at a correctional facility in Lindsay, Ont. The agent also visited Potter there. During one of those visits, in May 2016, the agent told Potter that friends of his saw him online and thought Potter would be a good choice to work as a debt collector for them when he got out of jail. 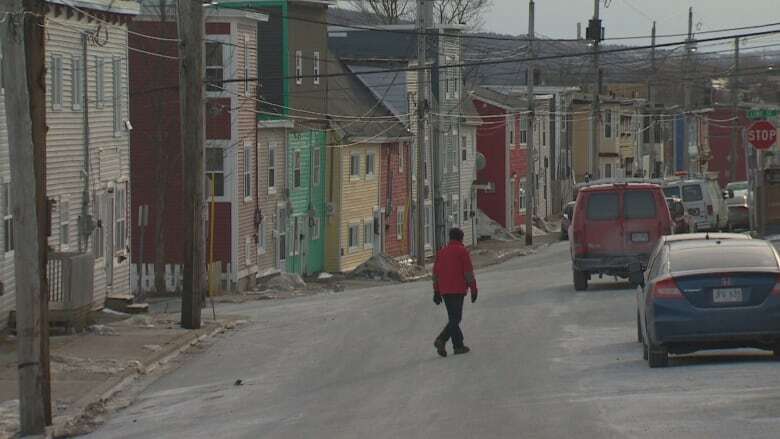 The police agent went to the Sports Club, a Vikings hangout on Boncloddy Street in St. John's, with two undercover RCMP officers, pretending they were friends from the mainland, and told Potter about the visit. In August 2016, the police agent brought one of those undercover Mounties to visit Potter in jail, to discuss work "along the lines of a hitman and a bill collector," he testified. In wiretapped phone calls played in open court, Potter expressed enthusiasm after his meeting with the undercover RCMP officer. "He's a serious f--king motherf--ker," Potter told the police agent. "He's a serious cat... I'm looking forward to working and I want to do a good job." The hour or so of phone conversations played in court Thursday afternoon — comprised of three separate calls over the summer of 2016 — are filled with easy banter and laughter. Potter called the Viking-turned-police-agent "my brother." Little did Potter know, the man on the other end of the line was working with the RCMP, and the call was intercepted. "We've got some good days ahead of us," Potter told the agent in one of the calls played in court. 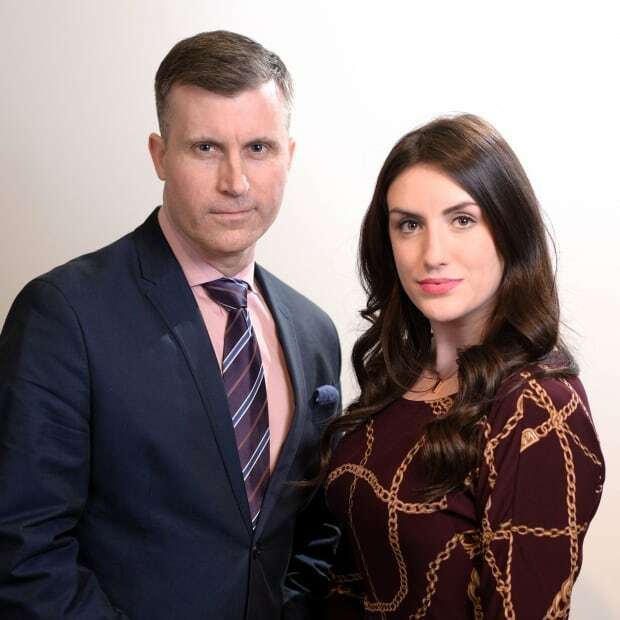 Rob Antle is the producer for CBC's investigative unit in Newfoundland and Labrador. Ariana Kelland is a reporter with CBC in St. John's.